This week is one of the best weeks in Charlotte. 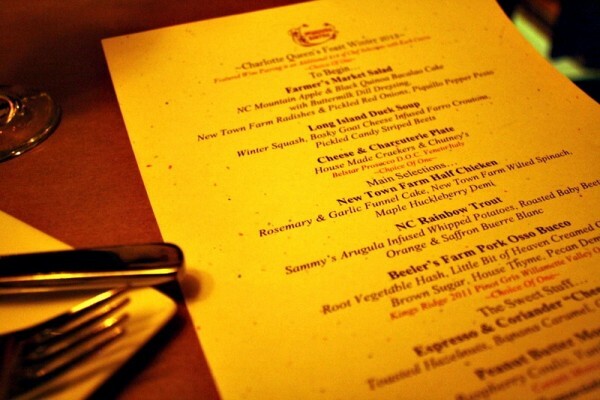 It’s Charlotte Restaurant Week! A lot of cities have Restaurant Week, but in case you’re not familiar, restaurants all over the city offer three course meals for only $30. Some throw in a glass of wine, beer, or champagne as well. Most meals include an appetizer, entree, and dessert and sometimes they throw in a bit more like an amuse bouche at the beginning of the meal. 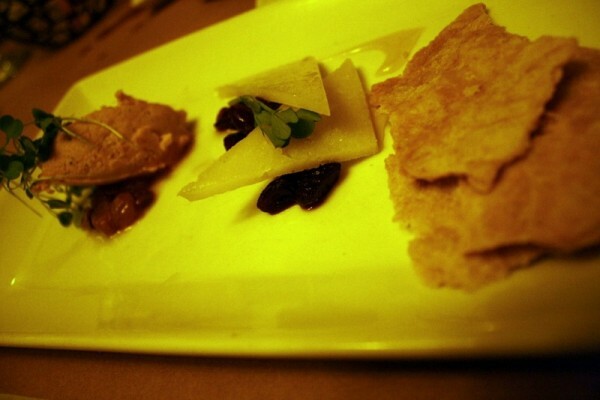 Menus are limited to usually three to five choices per course. I typically choose restaurants to visit this week based on three criteria: 1) restaurants I’ve never visited, 2) restaurants who offer a Restaurant Week menu that appeals to me, and 3) price point. In my opinion, there is no reason to go to a restaurant that is good, but that you can easily eat several courses for $30, without the Restaurant Week deal. Every year, the number of restaurants increase, making the decision of where to dine very difficult. I’ve heard many great things about Passion 8 Bistro in Fort Mill from people who know their food. I recently learned it was rated as one of Charlottes best 25 restaurants, which is particularly interesting, because they’re not even located in Charlotte or even North Carolina for that matter. They’re located in Fort Mill, SC, a bedroom community of Charlotte. When I learned they were participating in Restaurant Week, I thought it was the perfect opportunity to see what everyone was talking about. So Brad and I gathered two friends, and we headed across the NC/SC line to try Passion 8. At first look, it’s a very unassuming stucco building with a gravel parking lot. 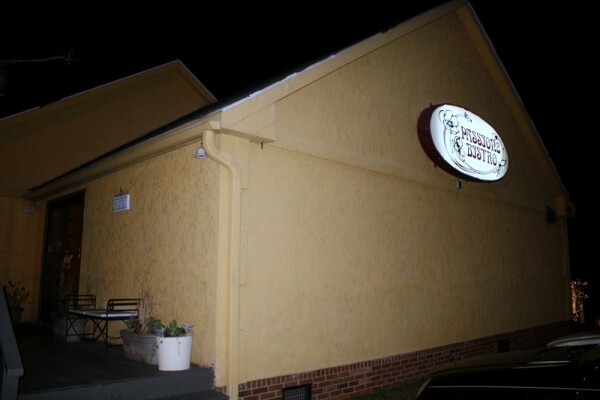 The building doesn’t scream fine dining, but you can’t always judge a book by it’s cover. The inside is kind of vintage Victorian shabby chic and the lighting is very romantic and dim. I never use flash in restaurants because it’s disturbing to other diners, so my photos aren’t optimal, but I did the best with what I had. Like I said before, the limited menu offerings are something I always consider before visiting a restaurant for Restaurant Week and I was very happy with the menu options at Passion 8. However, just because it’s Restaurant Week, doesn’t mean you have to order off their limited menu. You can still order anything you like from their full menu. You’re just not guaranteed three courses for $30. It’s like this at all restaurants. 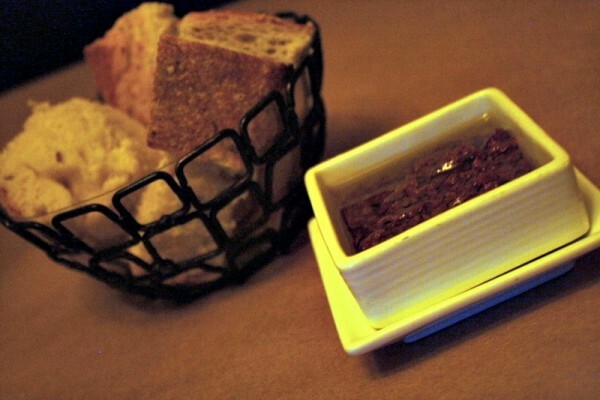 We started off with bread and a olive oil/tapenade mixture. I’m not going to hold this against Passion 8 since I’m of the small majority of people who hate olives. This dip was very olive-y. I could smell the olives from across the table. My dinner companions who actually liked olives thought it was very good. The charcuterie on the left is a country ham pate. At first I didn’t know if I would really like it, but I have to admit that I really enjoyed the saltiness of the pâté spread on the flaky homemade cracker. Country ham, which we have ever Christmas morning at my grandparents’ is not one of my favorite things. It’s just too salty. But on a cracker, as a pâté, it was very yummy. The cheese and sweet chutneys were also a very tasty pairing. 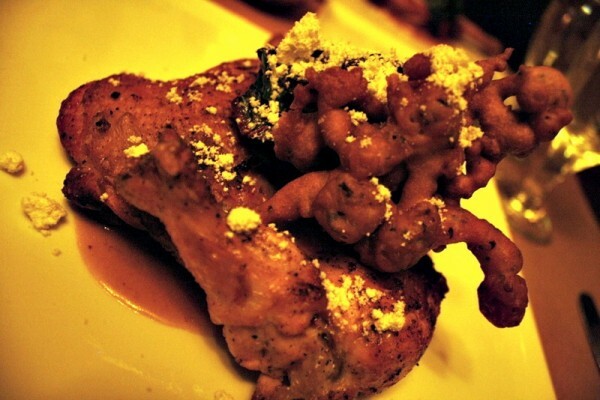 This was a very generous portion of white meat and dark meat chicken, cooked perfectly with herb flavors. If I had to guess, it had been basted in butter. The funnel cake was such an interesting touch. It was delicious and crunchy, but not sweet like the kind of funnel cake you eat at the county fair. I savored half of the chicken and then used the other half the following day to make an enormous chicken sandwich. Mmmm. I wish I had another one right now. 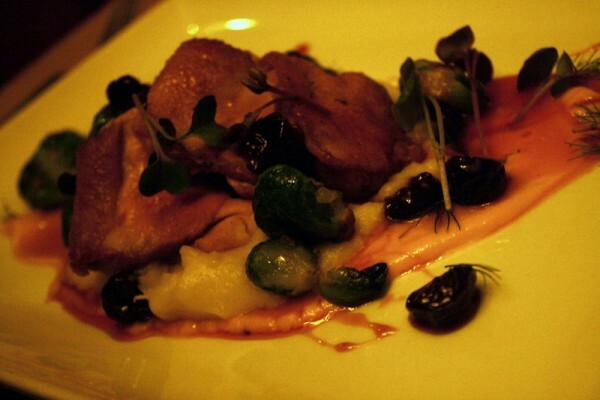 Brad ordered the duck, which was served with brussel sprouts and black truffle mashed potatoes. He said the duck was a bit tough, but the mashed potatoes were amazing. In my limited experience, duck can be very hit or miss so I rarely order it after I had a bad experience in France. And then came the grand finale — dessert. The brownie was pretty basic, but the peanut butter mousse was to die for. It tasted like peanut butter fudge, which I actually like more than chocolate fudge (shocking.). I didn’t love the raspberry coulis, which I think would go great with an all chocolate dessert, but just seemed unnecessary with the peanut butter. 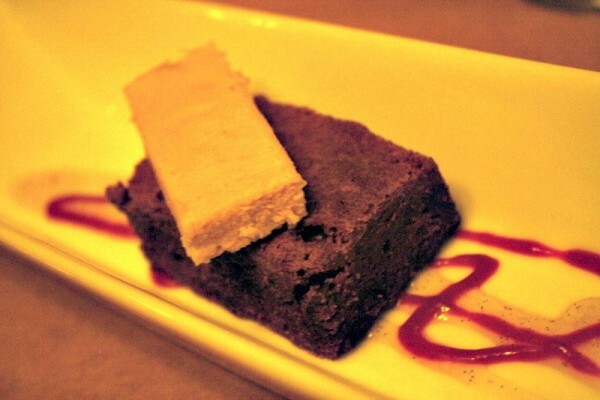 I could have eaten a brick of the peanut butter mousse (dare me to?). It was so yummy and rich. Our overall experience at Passion 8 Bistro was very good and I would love to come back and order off their full menu another time. However, I do have to mention that a very short portion of our evening was almost ruined by a patron sitting behind me who was very loud and obnoxious. He was ranting that he wanted to leave because he didn’t like that he and his dinner companion had been seated near the kitchen. Mind you, he started ranting after they had finished their salad course, not when they were sat. He was beyond horrific and I felt so sorry for his wife to have to deal with him. Of course, the waitress tried to calm him down and was very pleasant to him, but he was livid and demanded that they leave without paying the bill. Situations like this when someone is being really loud make me so uncomfortable and I had to restrain myself from turning around and telling him to lower his voice because he was ruining my dinner. But thankfully he left and the rest of dinner was great. I’ll definitely be back to Passion 8 Bistro. You chan check out the rest of Passion 8 Bistro’s Restaurant Week menu and all of the participating restaurant’s menus on the Queens Feast Charlotte Restaurant Week website. Have you or are you planning to participating in Restaurant Week? Where did you go or are going? you should have turned around and said something to him. put him in his place. people need to learn decorum. he was being rude and he was ruining your dinner. crudely put, eff him. I, too, hate olives. Gross. I love Passion8, though. A few years ago they had a special 4-course goat cheese meal, and I still think about the goat cheese fondue that was included. So dang good. 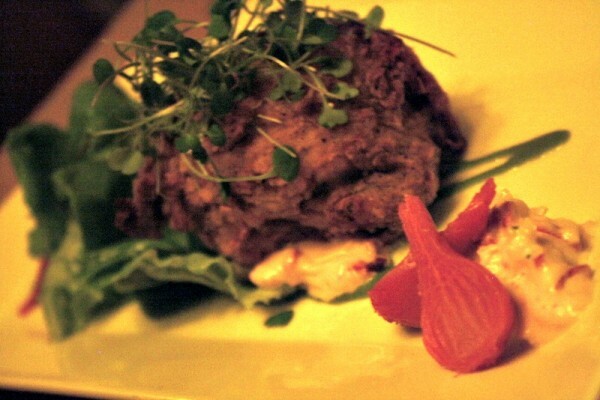 Have you tried Local Dish in downtown Fort Mill? It is fantastic and reasonable-not too much farther from Charlotte than Passion8. We don’t have a ton of goo restaurants in Fort Mill, so I’m excited that they are here. I have not tried Local Dish but maybe I should try it soon. I have a very good friend in Fort Mill and I feel bad that she has to drive up here so often. Thanks for the recommendation! Btw — I read a review on Yelp where someone said they were scared to get out of their car at Passion 8 and I was like Psssssh! I would hate to be with this scaredy cat in some of the places I’ve gotten lost in Charlotte. It’s not a posh location, but it’s definitely not a bad part of town. Am I missing something? I dId feel bad for the lady too though! That man was really rude. You’re right about the funnel cake. I think I didn’t notice it at the time because it wasn’t covered in powdered sugar so my mind didn’t remember the texture of a traditional funnel cake.